For Edwin Calvin it was a close run contest between finishing his private Airstrip on his farm and finishing his Flying Course for his Pilot's License. 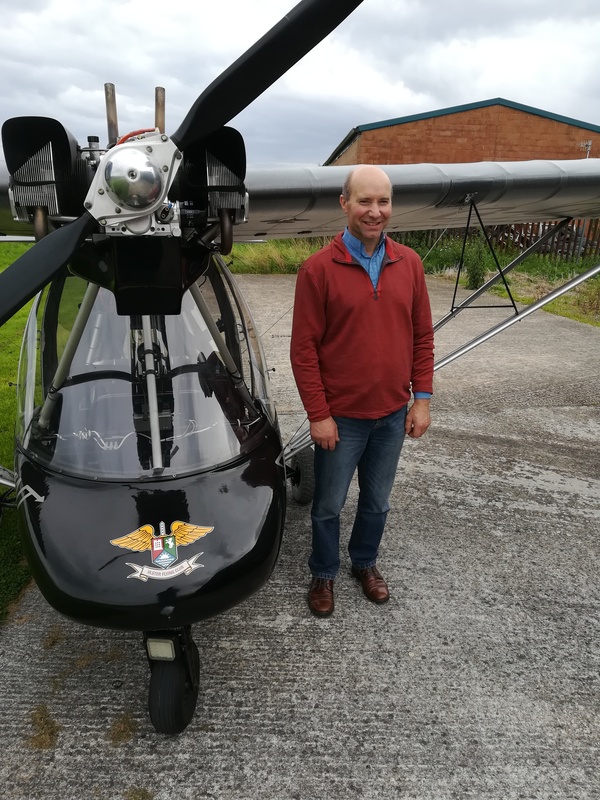 Passing his GST on 15th September in G CGFZ at Ards Airport resolved that issue, but Edwin now needs to work full time on his JCB to get the strip ready for the arrival of his nice new National Private Pilots License. Congratulations Edwin you will be amazed at how many new pilot friends that a Pilot with his own Airstrip acquires.